LEWIS LOFTS! 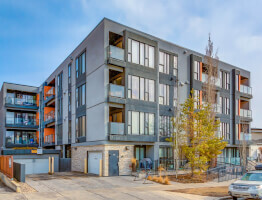 Amazing Victoria Park location & wonderful exposed elements blend to give Lewis Lofts a unique place in the Calgary market. The Lewis Stationary building is one of the most coveted warehouse conversions and this particular live-in loft space is no exception. Situated on the southwest corner, formed by concrete construction, it features two exposed brick walls and concrete pillars. 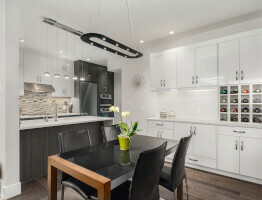 Flat panel cabinetry,a full appliance package & eating bar complete the raised kitchen design. A fresh colour palette, cozy corner gas fireplace, concrete flooring, 4 piece bathroom & great city views. 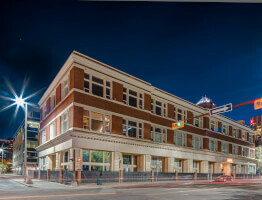 Underground parking, insuite laundry & additional storage also included. With its close proximity to the downtown core,the design district & 17th Avenue, Victoria Park is the epicenter for the inner city socialite. This exuberant area is home to stylish boutiques, cafes,restaurants & all things fashionable.